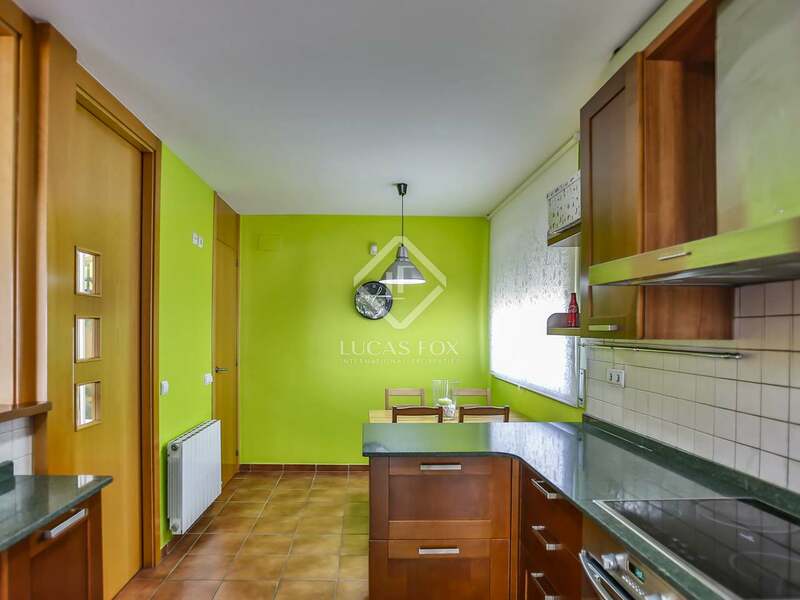 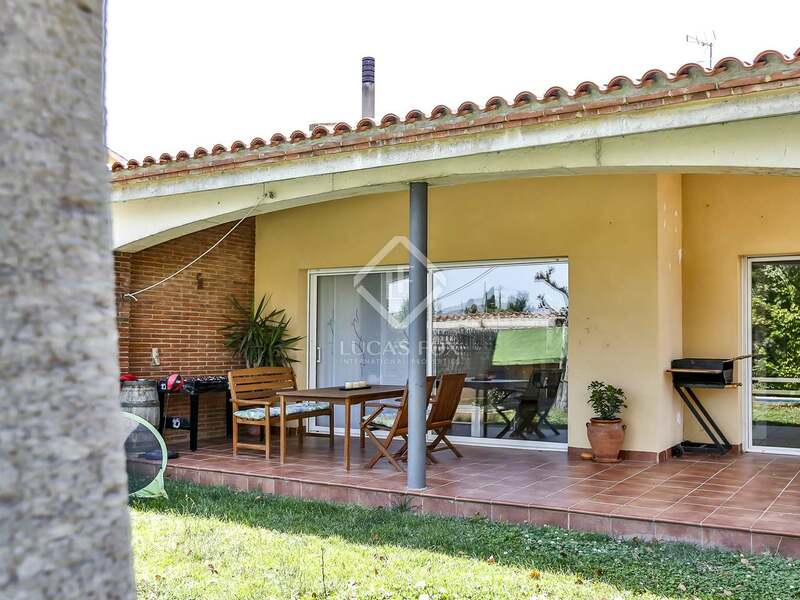 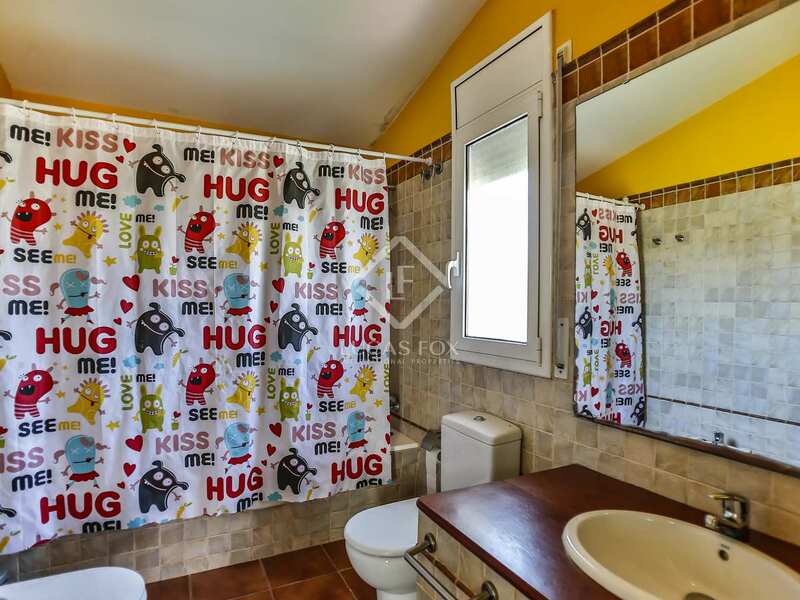 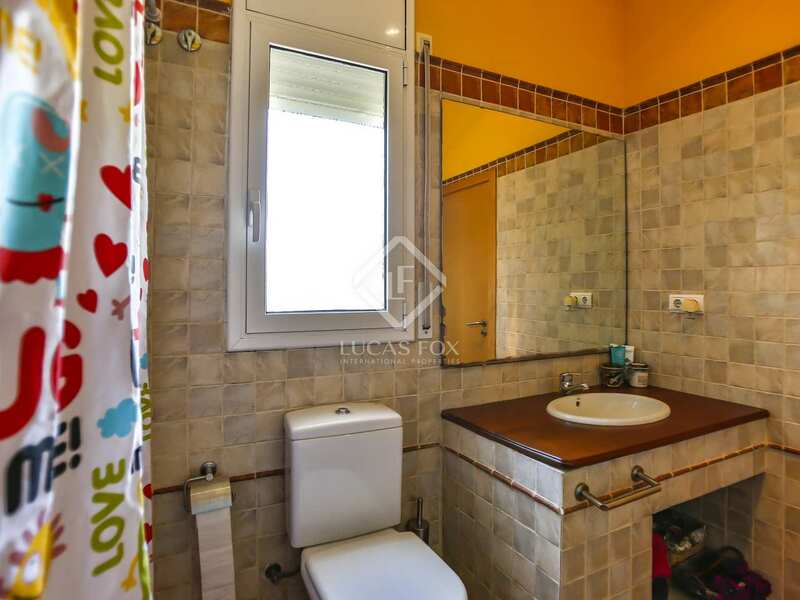 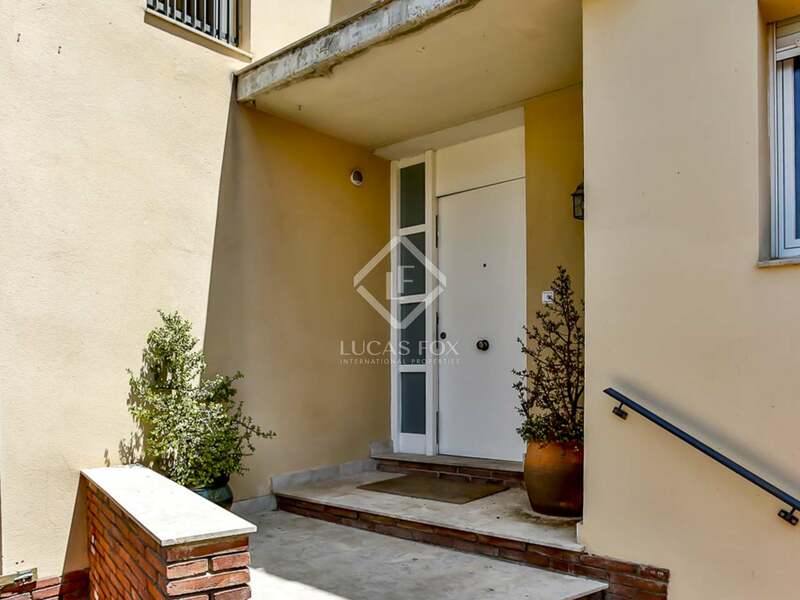 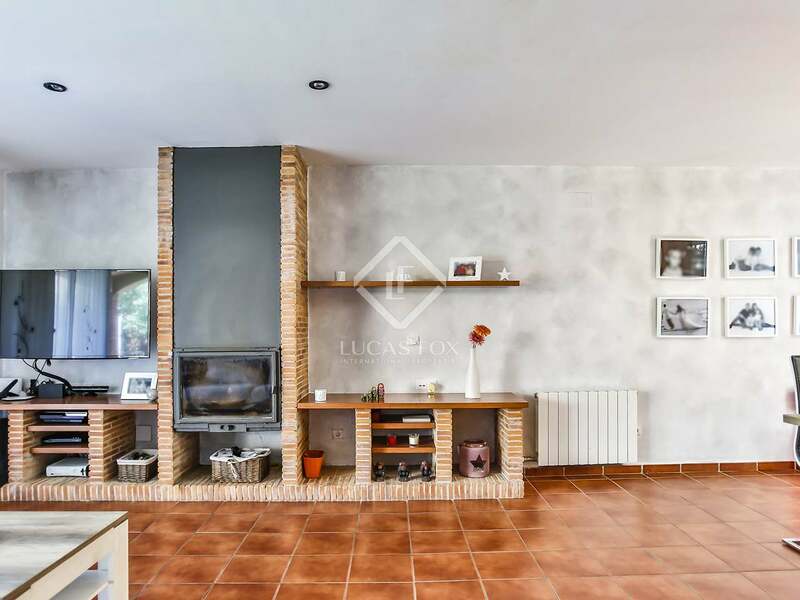 This very attractive house enjoys a peaceful location in the residential area of La Collada in Vilanova i la Geltrú, with panoramic views of the mountains and the Foix Natural Park. 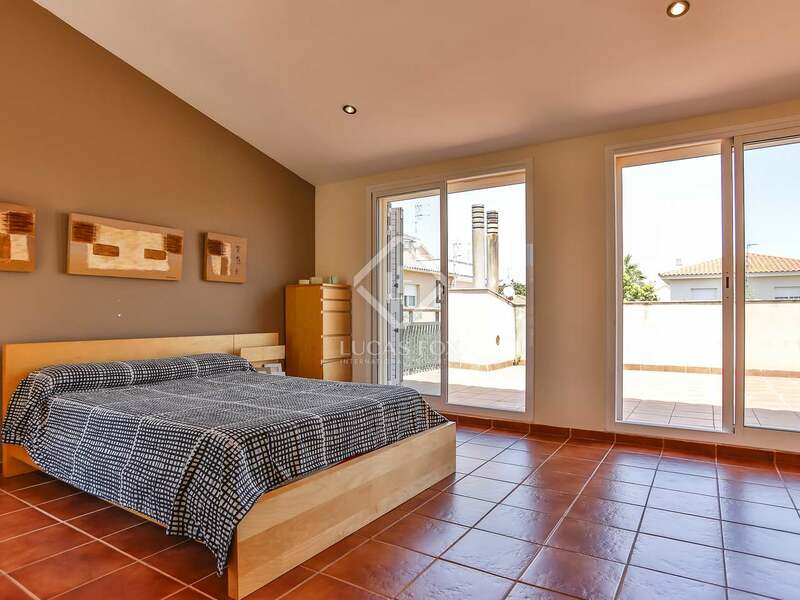 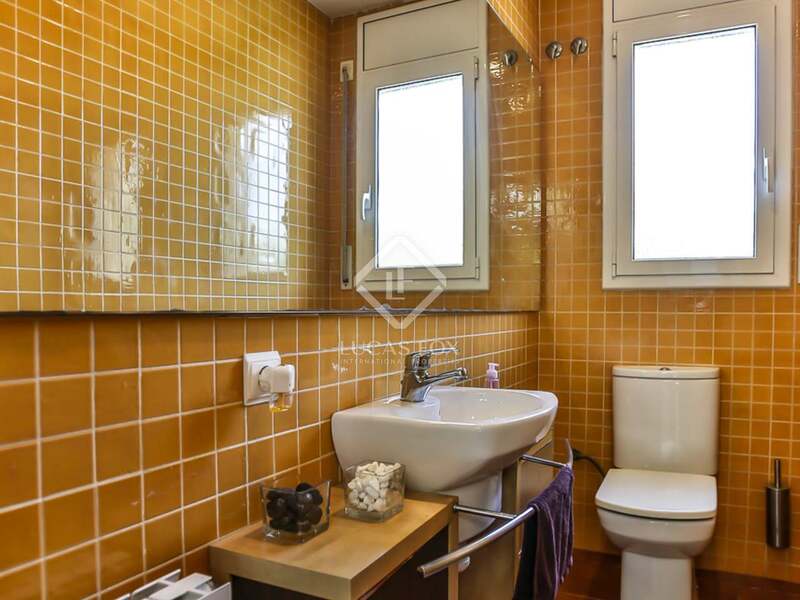 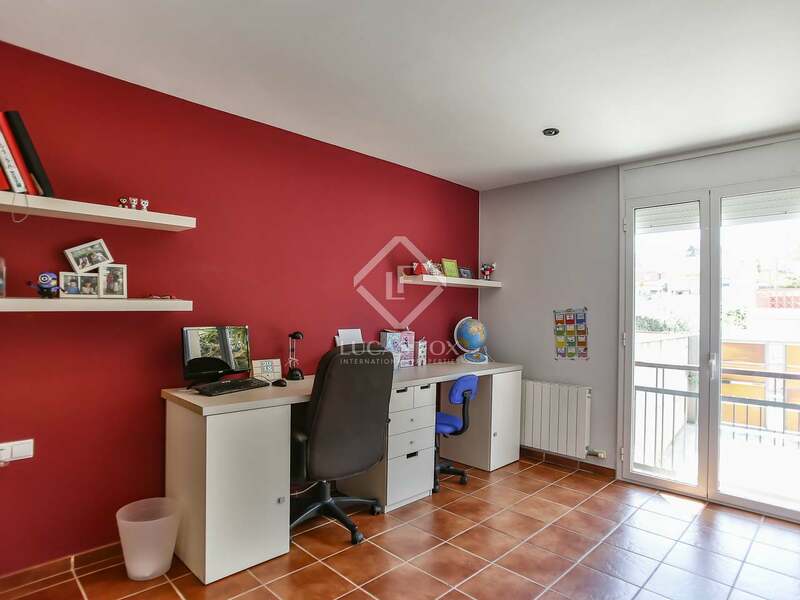 It is close to all the services of the centre of Vilanova, next to schools and bus stops with regular services. 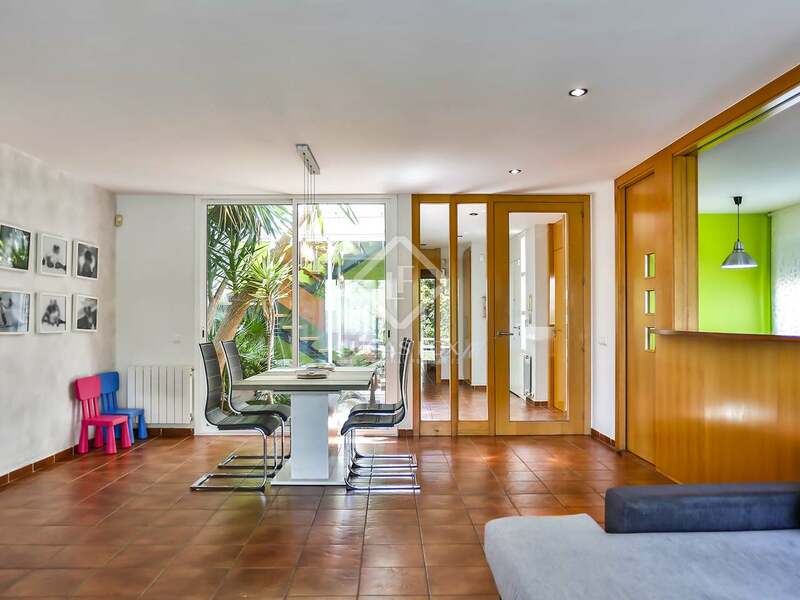 The house, built in 2004, has a size of 367 m² and has been well designed to create comfortable spaces. 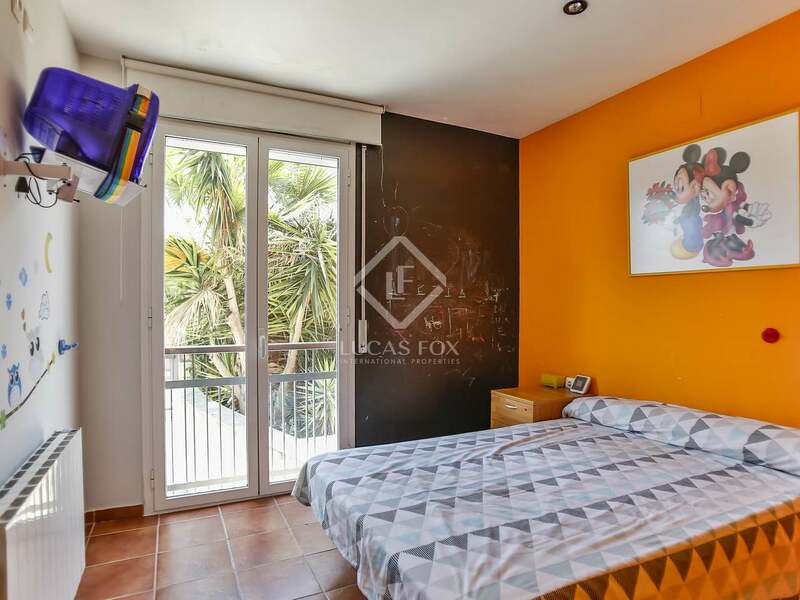 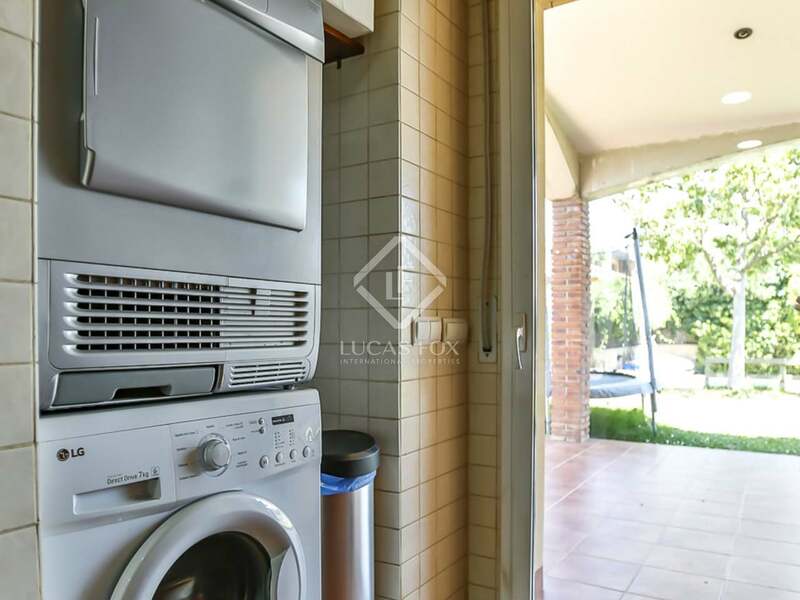 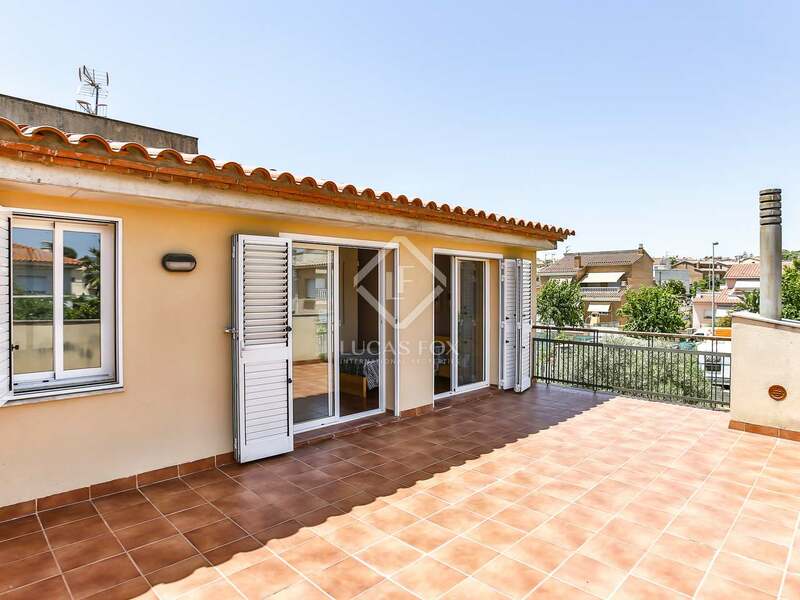 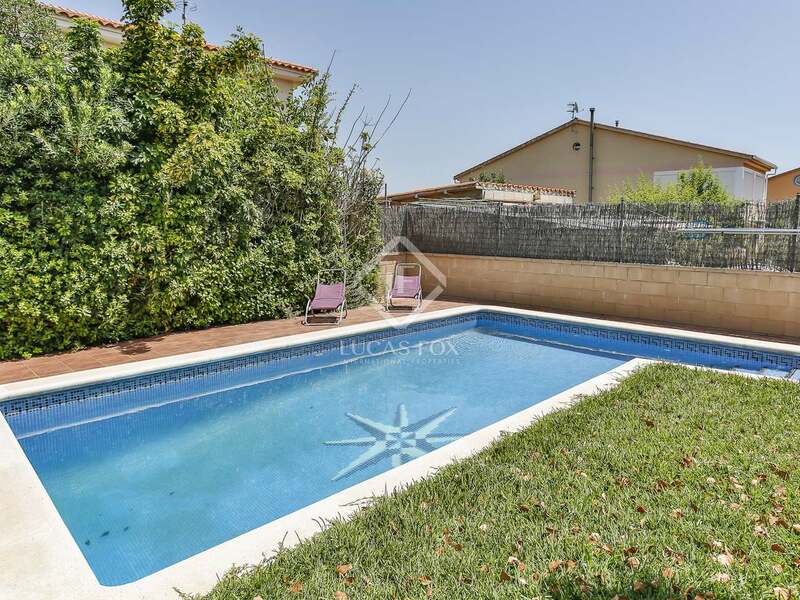 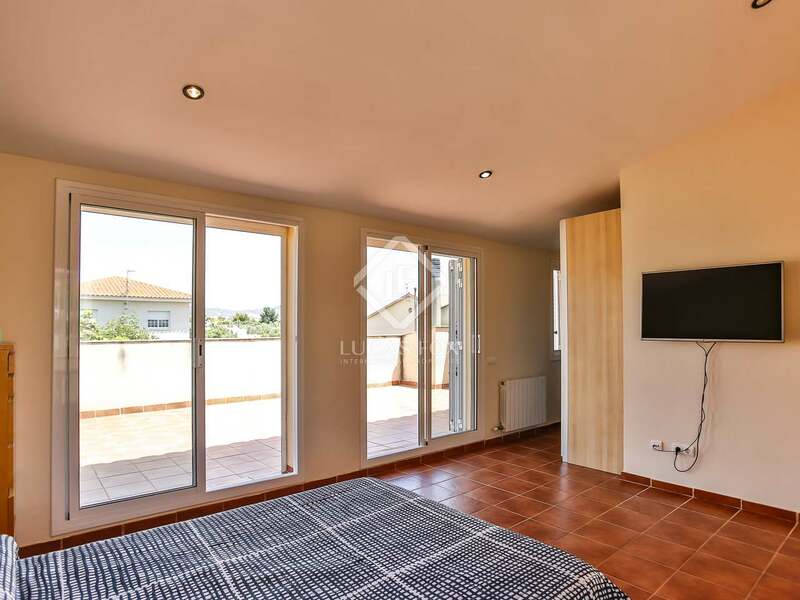 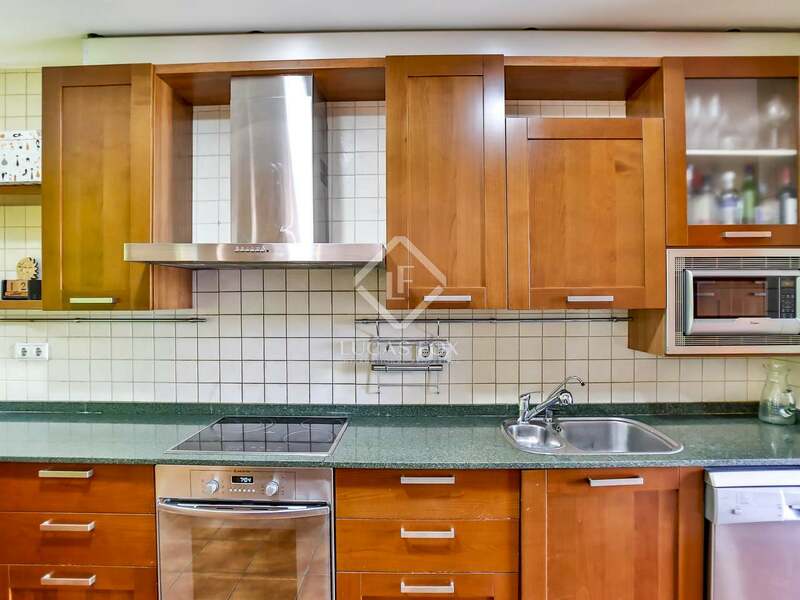 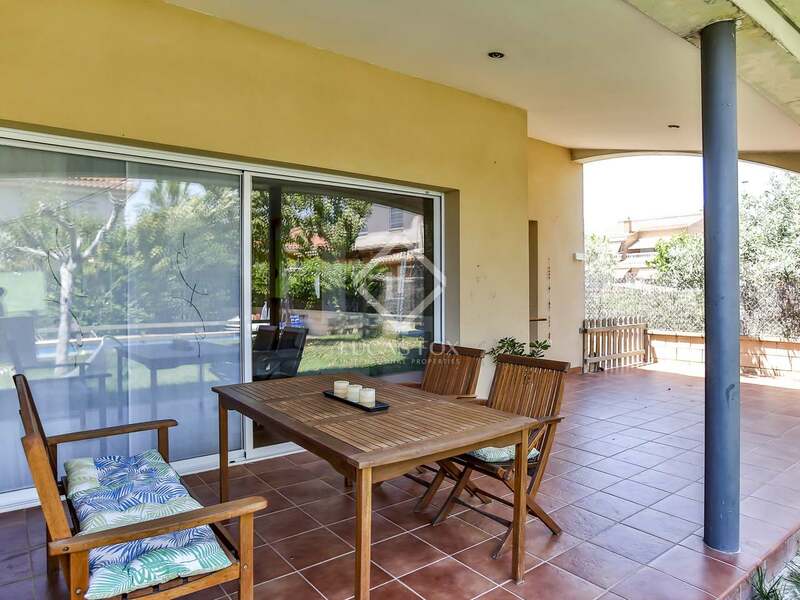 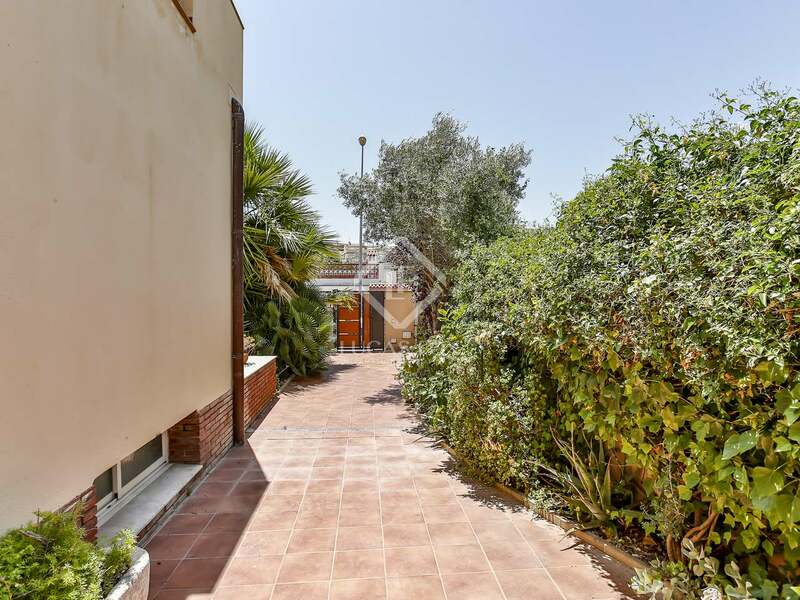 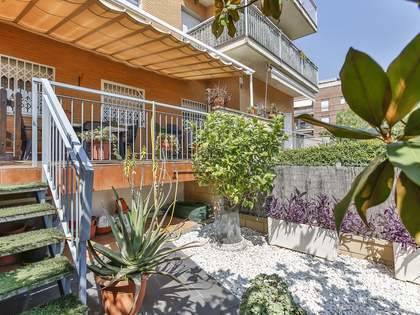 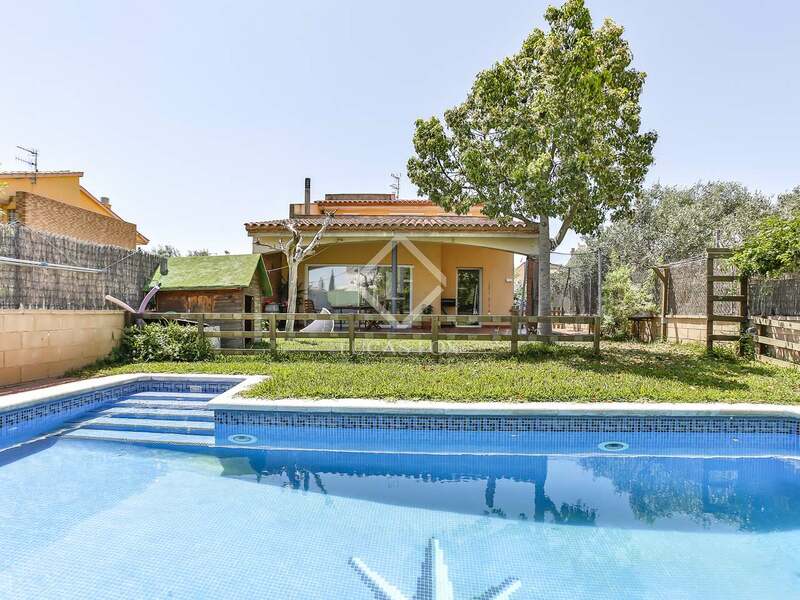 It has a fantastic low maintenance garden with a pool which makes it Ideal for families with children, and also for retirees for the tranquillity of its surroundings, or as a second residence or investors for short and long term rentals. 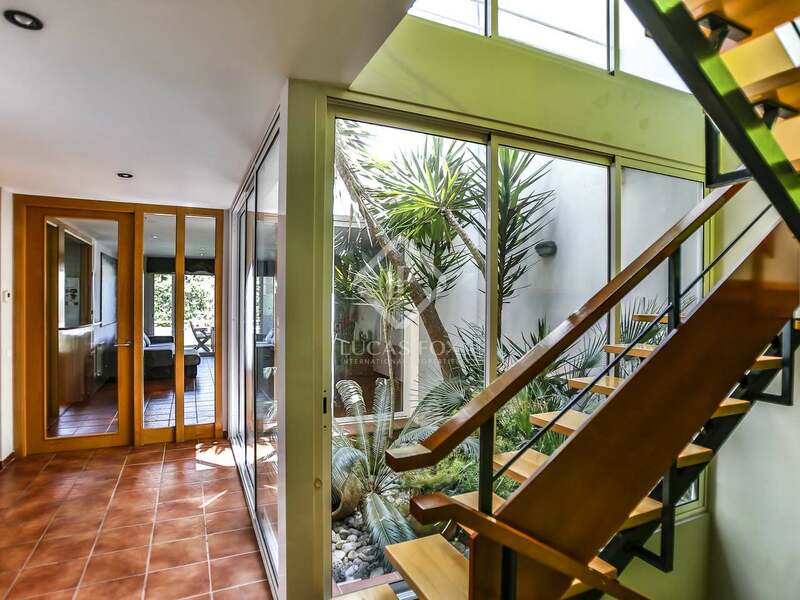 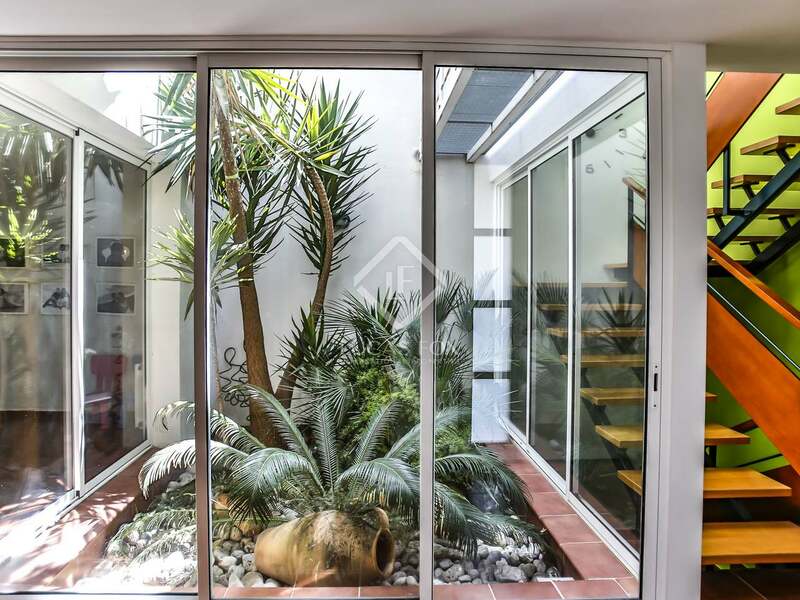 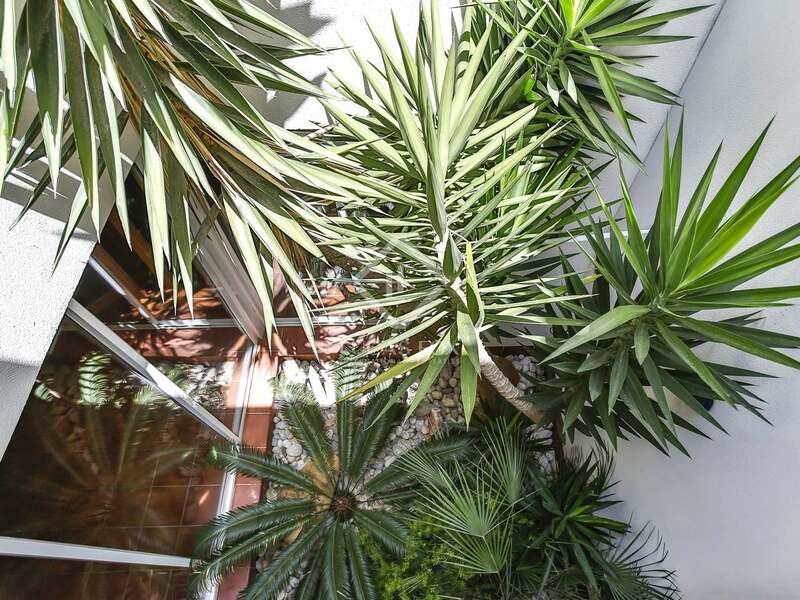 We enter the entrance hall and find a beautiful, unique interior garden with floor-to-ceiling glass doors and exotic vegetation. 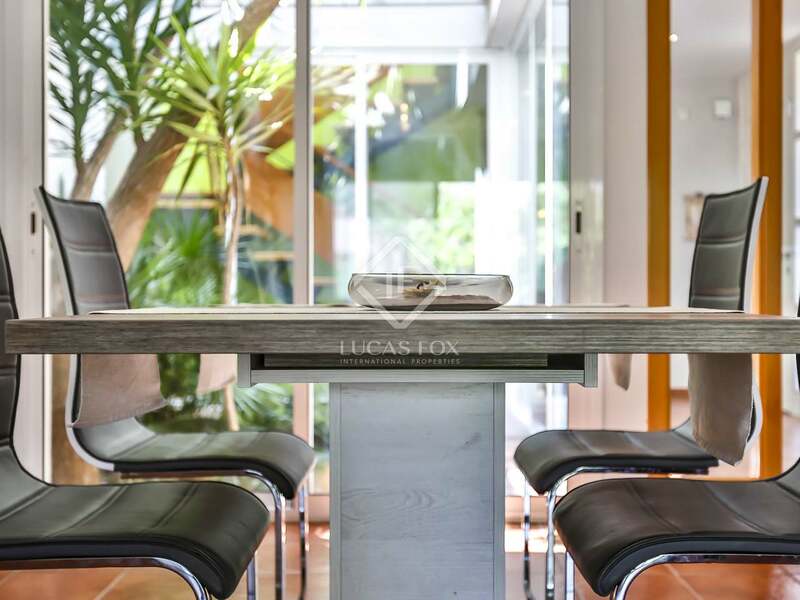 On the ground floor we find a spacious, bright living room - dining room and the modern, semi-open kitchen which both offer access to the garden with its barbecue and pool. 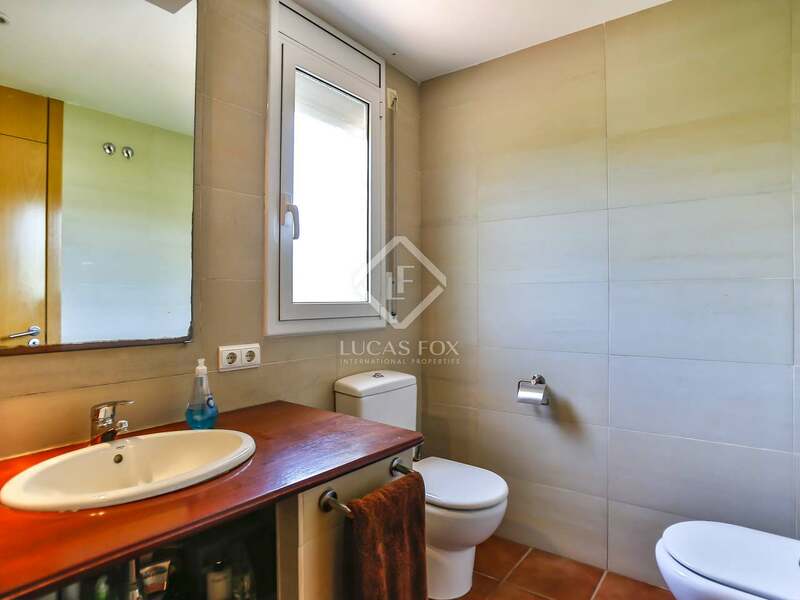 It has a laundry area, a guest toilet and a complete bathroom shared by 2 double bedrooms, one of them with dressing room. 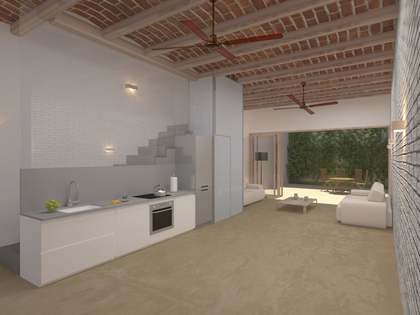 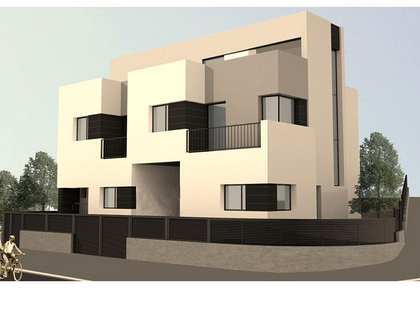 The first floor provides another 2 bedrooms, a bathroom with a bathtub and 2 terraces. 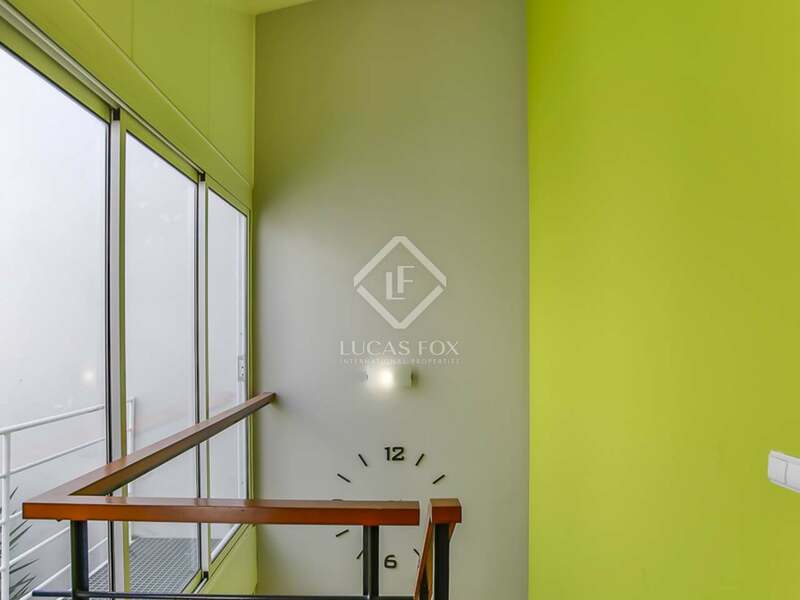 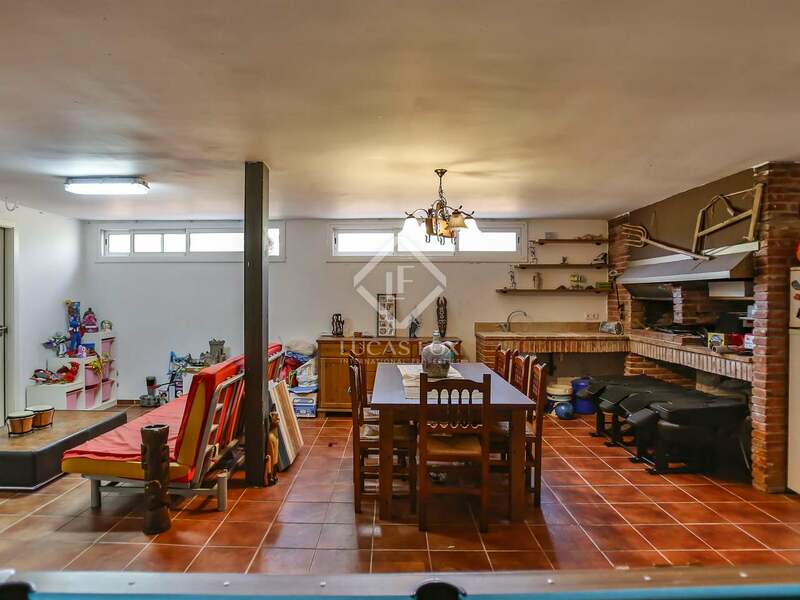 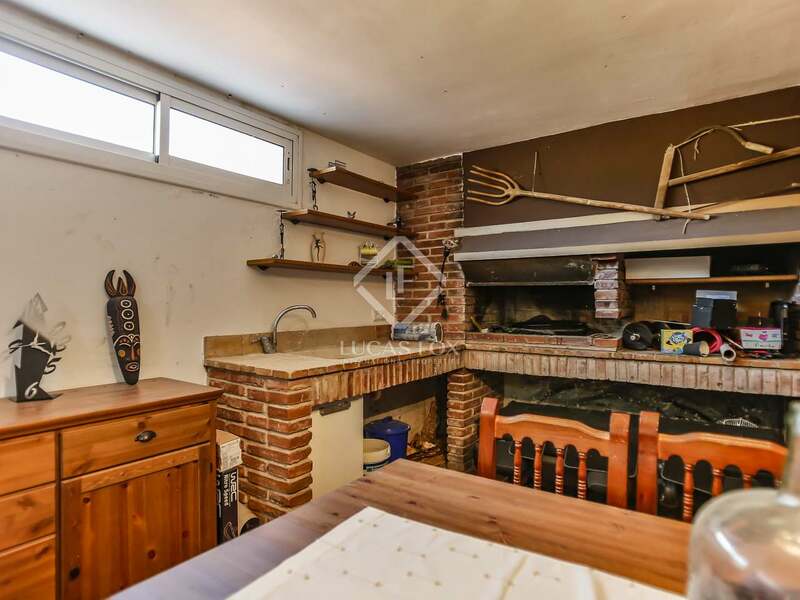 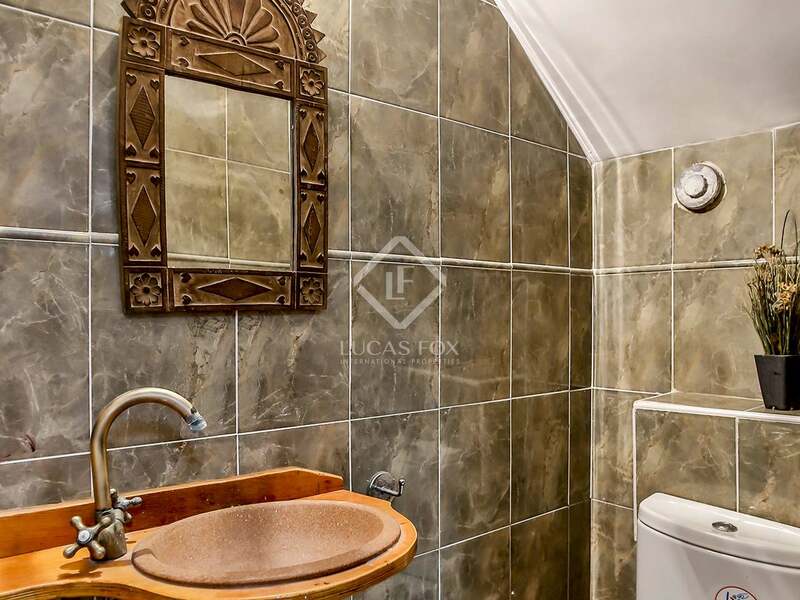 In the basement there is a large garage of 36 m², a winter dining room with fireplace and a guest toilet. 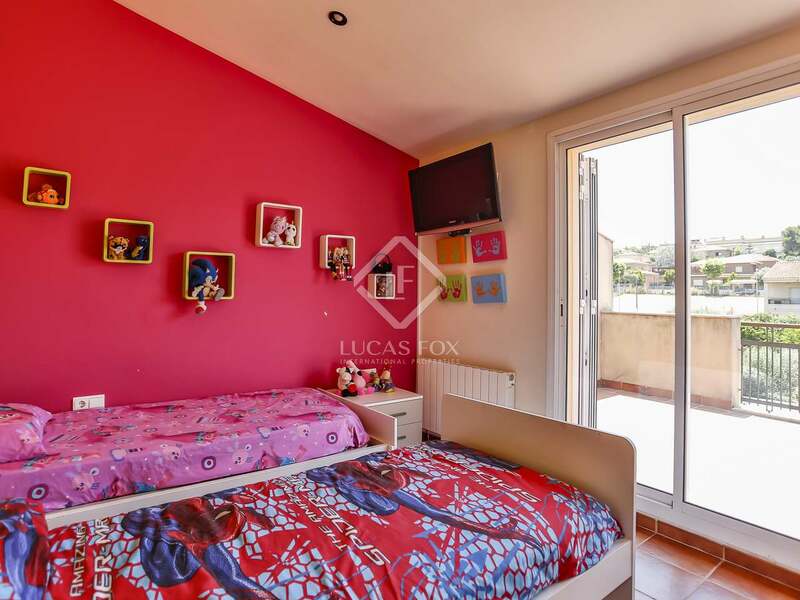 The house is fitted with heating, an alarm and large windows which make it very bright. 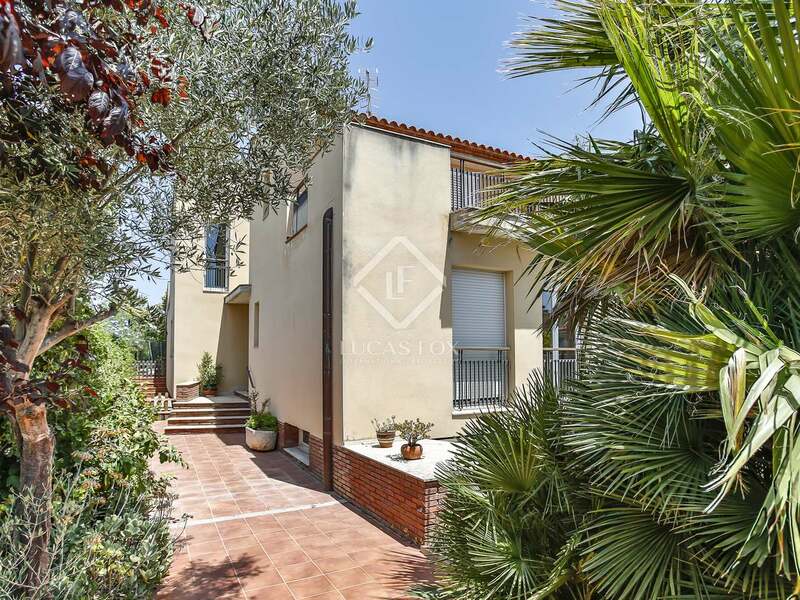 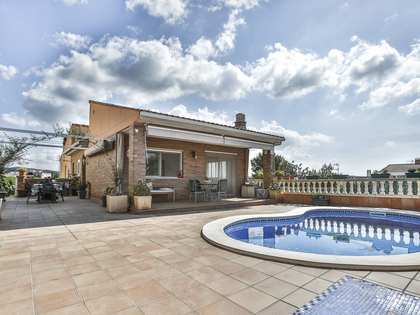 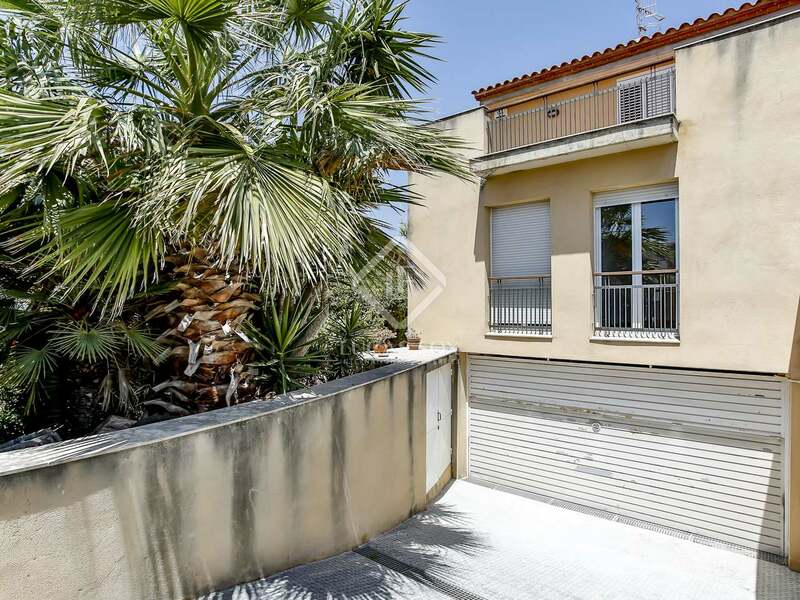 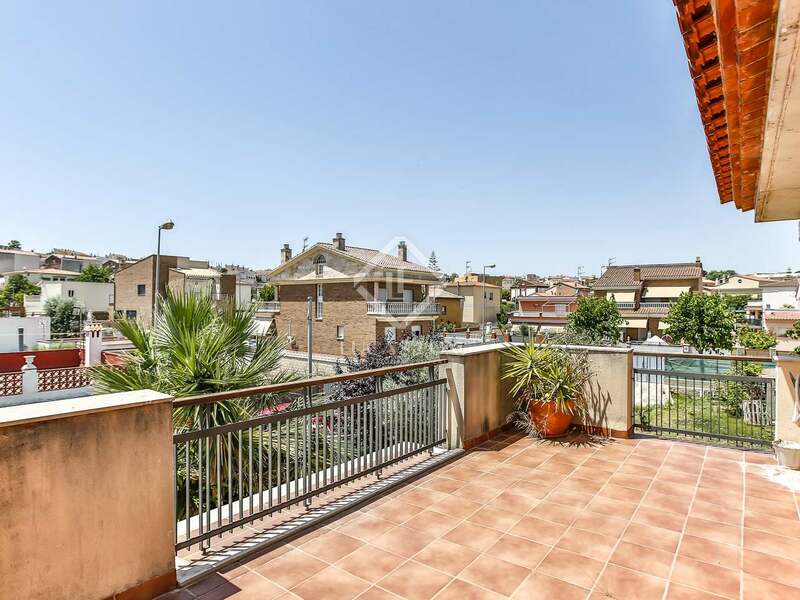 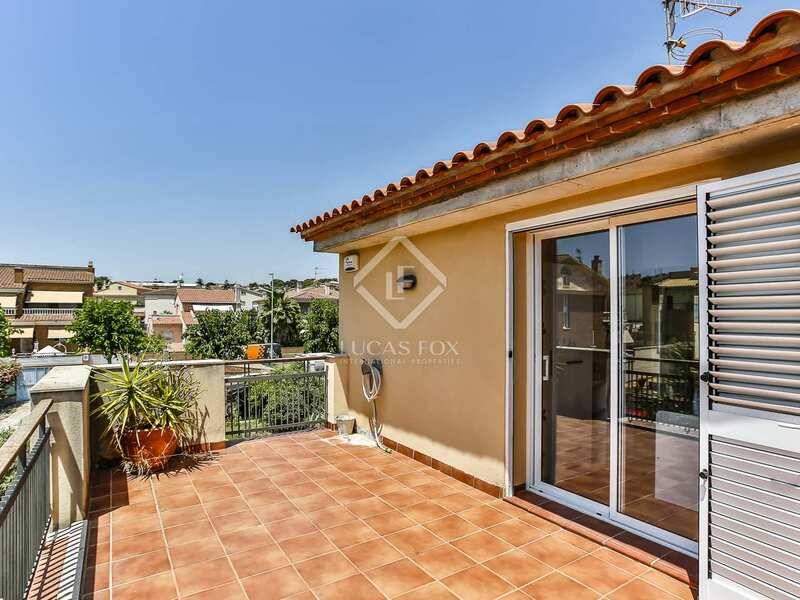 Call today to arrange a viewing of this beautiful family home in Vilanova. 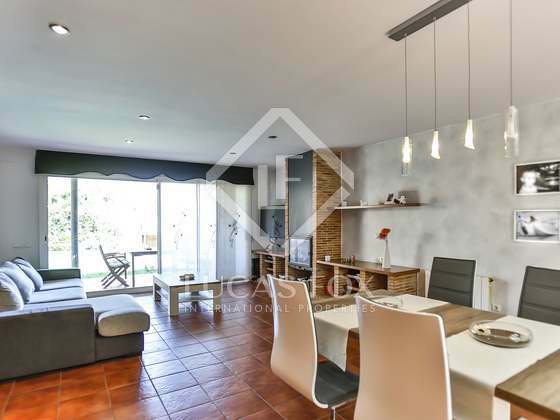 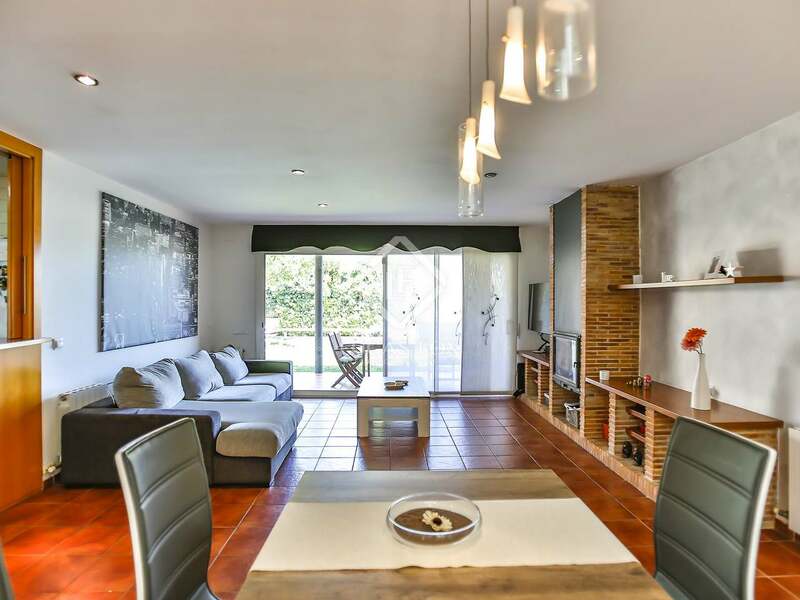 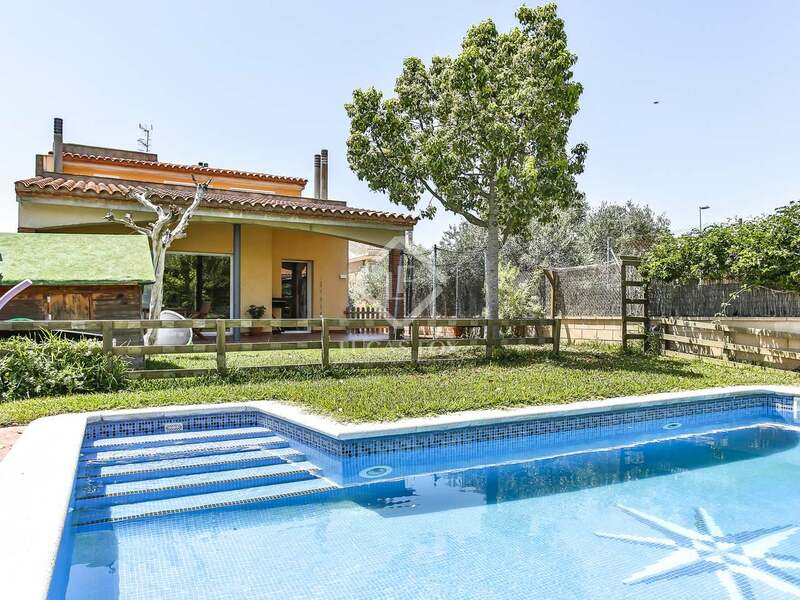 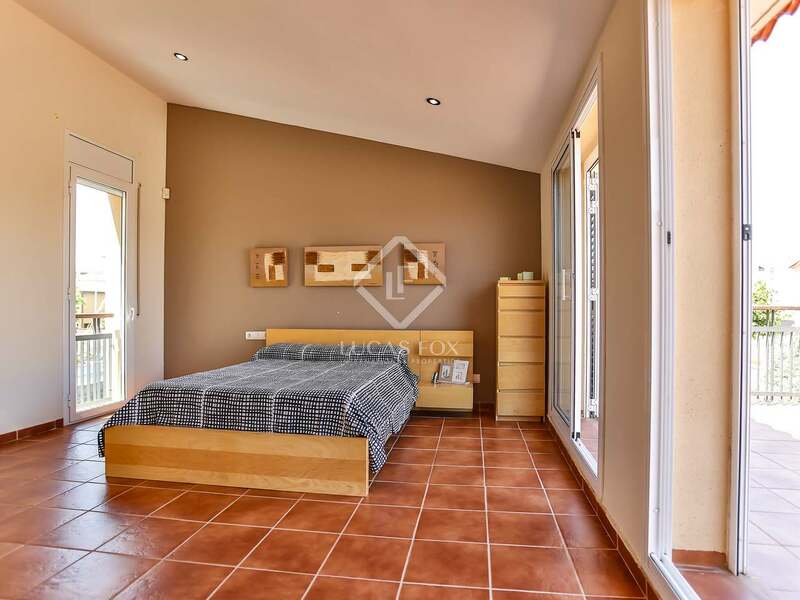 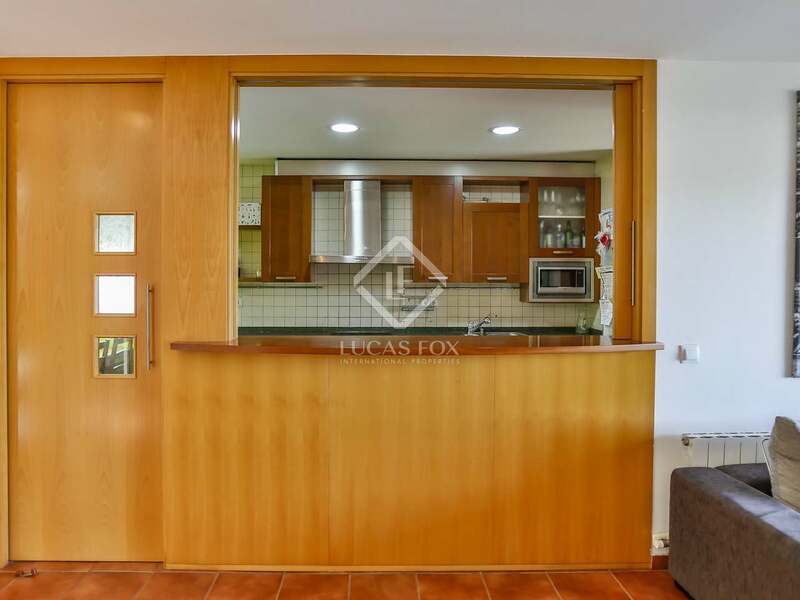 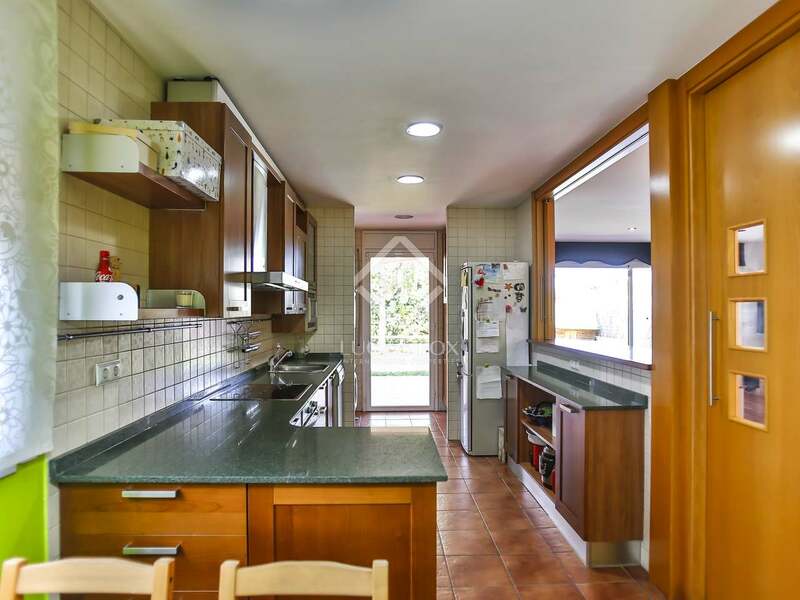 Modern style villa presented in excellent condition, in the peaceful residential area of La Collada in Vilanova i la Geltrú, with panoramic views of the mountains and the Foix Natural Park. 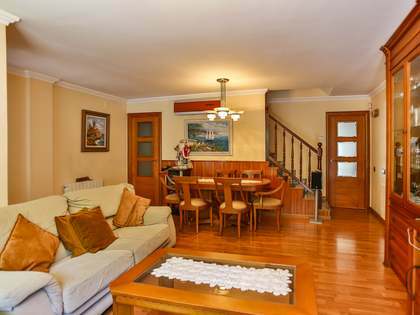 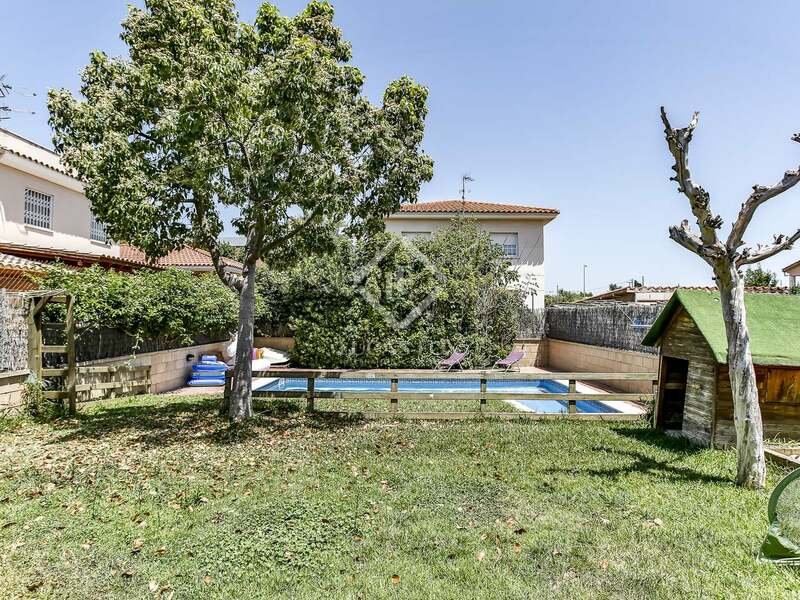 It is close to all the services of the centre of Vilanova, next to schools and bus stops with regular services.